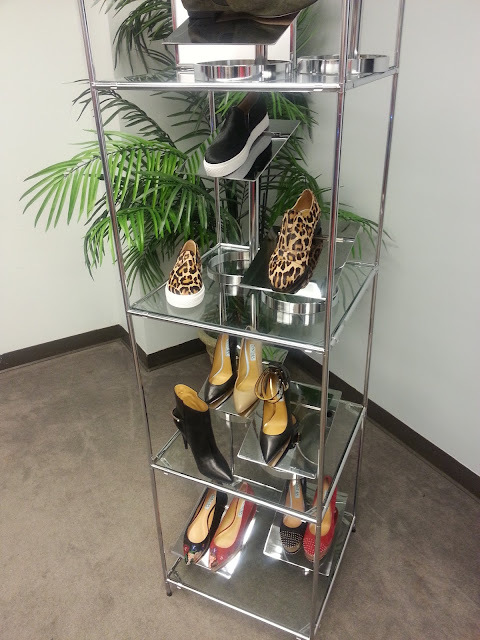 Last Thursday, I was invited to attend the Belk Fall '13 Fashion Preview in Belk in Crabtree Valley Mall. Since I enjoyed the Belk Spring '13 Fashion Tour earlier this year, I was excited to see what would be in store this time. Upon arrival, I was greeted by familiar faces and as my typical style, I sat in the back to get a full view of the presentation. Not long after arriving, the presentation began and was orchestrated by Belk's Vice President of Trend Merchandising & Fashion Direction, Arlene Goldstein. The first image of the presentation immediately caught my attention. I'm a sucker for black and white! I put my complimentary bag down and focused. When I say I loved every single piece presented, let me tell you... Amazing! Every item on the list is not only chic, but great items to build a wardrobe. These items rarely go out of style so they are each great pieces to add to your closet. 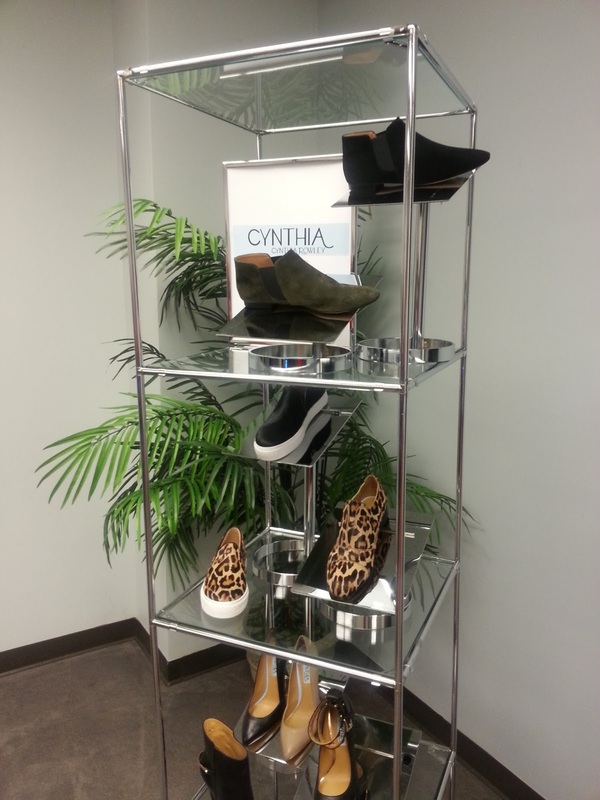 They also previewed the new shoe collection from Cynthia Rowley that will be launched at Belk this fall. After the event, I had a chance to finally peek in my bag that each attendee received. 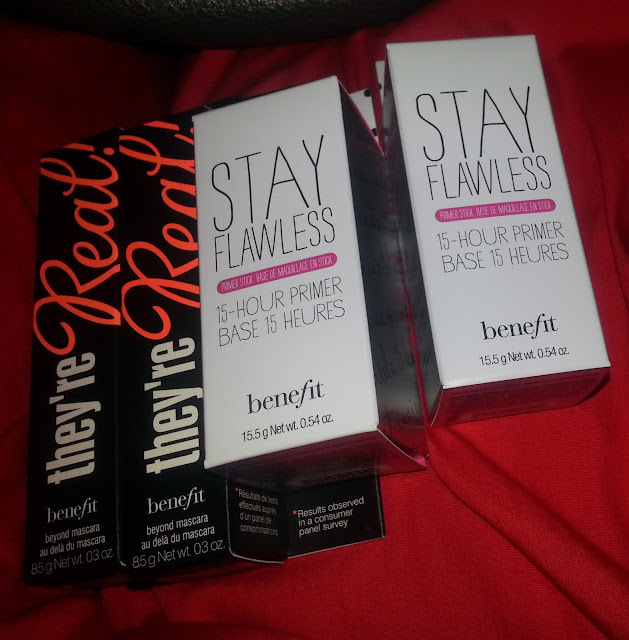 I pulled out these items from Benefit. I have wanted to try these products for ages! 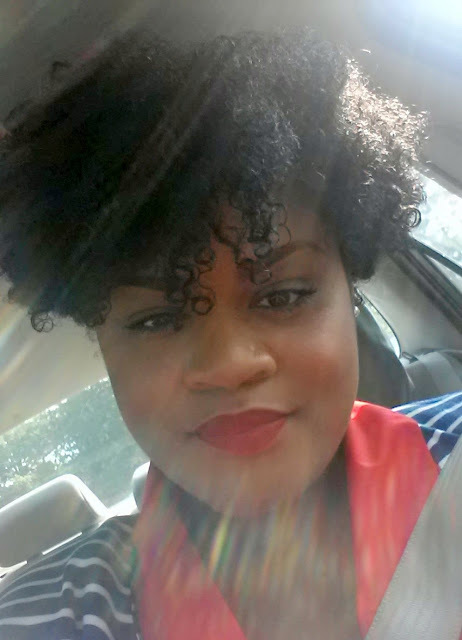 Also, it wouldn't have been right if I didn't wear a MAC lipstick since the MAC counter is found in Belk. Still enjoying RiRi Woo! To see more pictures from the Fall Fashion Preview, click here. What do you think of Belk's Fall Fashion? Anything catch your eye? Hey now! A Raleigh native. :-) Thanks for stopping by to check out my blog. Belk is definitely one of my favorite spots! Doesn't it Chantel? I was pleasantly surprised! :-) Thanks for stopping by as always! That black and white dress IMMEDIATELY caught my attention too! I'm trying to stop with the black and white ensembles, but this dress...I MUST have! I am a big fan of Cynthia Rowley bedding, but I love these shoes too! Especially the leopard print ones!